Rejuvenate yourself with an enchanting moment and embrace wild thrills in the refreshing air at the Khao Kheow Zoo’s Zipline Adventure. 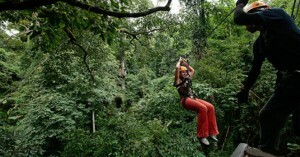 Make your Zipline Canopy Tour a memorable trip; crossing high limit and with speedy rides. Then designs are reliable, strong and comforting keeping visitors relaxed all the time. Several tests and researches are conducted to ensure highest safety for visitors. Practical beginnings of crossing of lines are executed after many tests and inspections to avoid technical glitch avoiding the faintest possibility of accidents. 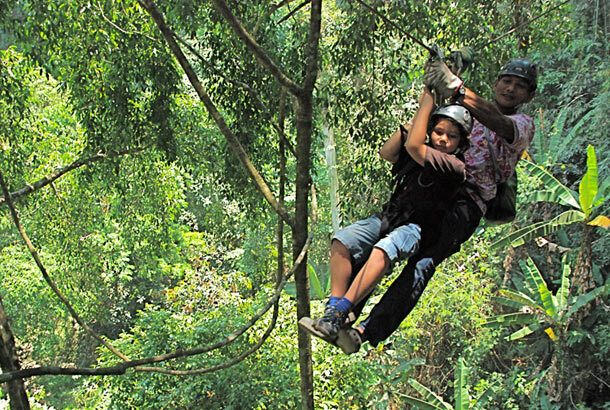 Khao Kheow Zoo’s Zipline Adventure is the best place in Bangkok for the wildlife enthusiast. Experience the thrilling “Flight of the Gibbon” and feel close to nature while crossing high distance that makes visitors feel like a bird. 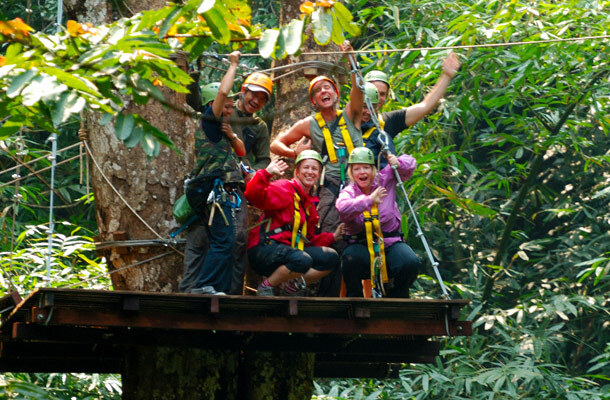 Gather around all you gutsy adventurer and capture the scintillating beauty of Thailand’s rainforest, challenge your senses and defeat your fear with Zipline Adventure at the Khao Kheow Open Zoo. Recharge your energy as you zoom and swing through the magnificent 3 km long wired canopy at the Pristine National Park.